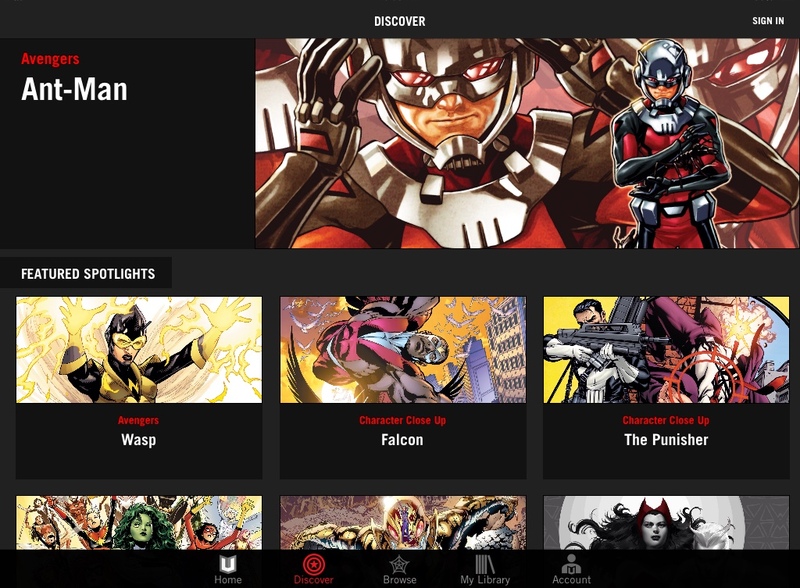 Marvel Unlimited is a comic book reader for your computer, phone or tablet. It launched back in 2007 as a digital comic book reader service from Marvel. It allows you to read thousands of Marvel comic books starring some of the biggest names in comics like Spider-Man, The Avengers, Iron Man, Daredevil, Guardians Of The Galaxy and plenty more. For a fee of $9.99 a month you gain access to thousands of different comic series going all the way back to the original Timely Comics of 1939 to the majority of new books released today. On new comics there is a six month gap between the time print comics are released until they make it to Marvel Unlimited so they can maximize print sales. You also have the option of paying $69 for a year subscription which saves you some money. There is also a $99 option that gets you a exclusive action figure and comic, a membership card and 10-15% off purchases of digital comics and merchandise. The comics look great on the app and that's the best thing going for Unlimited. The older comics, before the digital age, all look great. They do not contain the original ads and most also do not have the letter columns in the back it's just the story but that's OK. The app let's you download up to 12 comics to onto your mobile device and then you can read them offline which is a nice feature. If you are going to do some reading while traveling, like on a plane, you can download your 12 before you board your plane and then read them without having to pay for Internet. Now that's all the good about the Marvel Unlimited app, now we'll go over the bad. I've used this app on a PC, Ipad and Iphone and I cannot tell you how many issues I've had. I don't know if people have better luck with Droid devices but everything I used gave me a terrible experience. I would download 12 issues online and when I would go to read them offline they wouldn't work. I don't know how many times I tried to fix it without success. Other times I would download books and be able to read them but when I would try to delete them they wouldn't leave which would make it impossible to download more books. Another issue I had was with gaps in series. I don't know why but there would be random issues missing and it became very annoying. There were also bigger gaps, I don't know exactly how the gaps are picked or why but it was annoying. I also had problems with single issues not downloading, even while I was online. It didn't matter what I did I wouldn't be able to read them. Something else I had a problem with, actually more of a nitpick, was the panel reader (I don't remember what it's called). It allows you to read the comics panel to panel which is a great way to read them. The problem is that sometimes the app would cut off parts of the panel or skip panels all together. When it worked I liked it but eventually too much was being skipped so I turned it off. 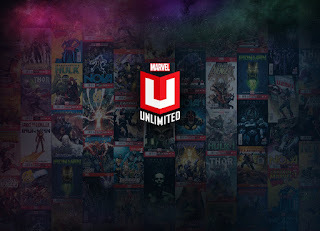 Overall I really like the Marvel Unlimited app but with all the problems I've had with it I just can't recommend it at this time. I've used it twice with a year in between them and nothing was fixed. If these issues get fixed I would recommend it. Honestly I hope they do get it fixed because I really like the app. If you are interested in trying it they do offer free months now and then so keep an eye out for them. As of this writing I would give the Marvel Unlimited app a 3 out of 10.